4 Bedroom Semi Detached House For Sale in Ashton-under-Lyne for Offers in excess of £220,000. Situated on a highly regarded cul de sac in Mossley and benefitting from far reaching views is this wonderful upside down 4 bedroom, semi detached property. 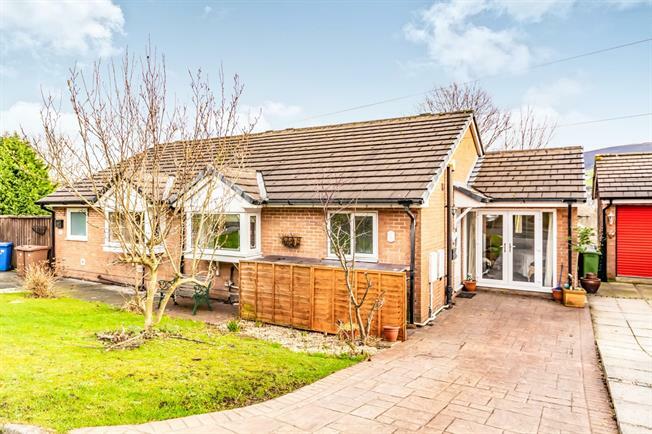 The property comprises of a lovely entrance hall, living room, kitchen, bathroom and a reception room to the ground floor. The lower floor comprises of the large master bedroom with walk-in wardrobe which leads onto the en-suite bathroom, two further bedrooms and an office room. This property has such lovely features and has been completed to a high standard. Must be viewed to appreciate the accommodation that is on offer here.